Harwich, MA (July 2, 2018) – An off-road weekend adventure turned to tragedy for an ATV rider in Harwich, Massachusetts. Harwich police, fire and rescue officials were called to the scene of an accident at Jay Z Drive around 3:00 pm on Sunday. The call was in reference to an ATV which had flipped over, causing serious injuries to at least one of the occupants. The Massachusetts Enviornmental Police rushed to the scene shortly after receiving the call. There, they found an ATV occupied by a driver and one passenger. Neither the driver nor passenger were wearing helmets. Police were able to locate a man who was injured in the crash. The man was breathing but unconscious. He was tended to on scene before being transported to Cape Cod Hospital with injuries to his upper torso. No further word is immediately available on his condition. The other person in the ATV, a female, was not injured. Police have not said what caused the accident to occur. ATVs are recreational vehicles, used by many people in the pursuit of outdoor activities. 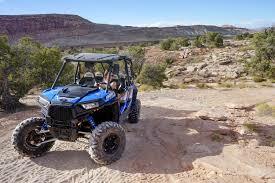 Hunting, camping and fishing are a few of the activities in which ATV riders typically engage. With summer now upon us, more and more of these vehicles will be out on roadways and back roads as people look for fun outdoor activities to do. The use of ATVs, while enjoyable, comes with a few caveats. One is that an ATV driven by an inexperienced driver is just as dangerous as a vehicle. While they do not travel as fast as a vehicle, they also provide less safety features. An ATV rider is not protected by a steel frame and is not designed to withstand the force of a crash. Therefore, they will not offer as much protection from injury in the event of an accident. We often see severe and even catastrophic and fatal ATV accidents for this reason. In this case, it appears that the three women were fortunate to escape with non-life threatening injuries. If you or a loved have been injured in an ATV or other vehicle crash, it is important to seek an experienced attorney to assist with your case. The attorneys at the Law Offices of Jeffrey S. Glassman have decades of experience in Massachusetts accident cases. We want to help you obtain the maximum recovery for your injuries. Please call us today at 617-367-2900 for a free consultation to discuss your case. We are standing by waiting to hear from you.